On the 29th November the first full-day ‘Sunday Art in the Burren’ saw a group of courageous people braving winds and rain for the pleasure of spending a day painting and print-making. Working with a restricted palette the participants produced some very interesting work in monoprint and inks. The ‘Sunday Art in the Burren’ are full days of art making where we experiment with a diverse range of mediums facilitated through a given theme and carefully planned exercises. This way of working encourages the participants to find new ways of expression, test different materials and challenges them to leave the comfort zone of familiar techniques and get acquainted with new mediums that may turn out to be full of new creative potential. Working with a roller and block ink for example is quite liberating, or doing a mono print is always a mystery because you never quite know what you’ll find when you lift the page from the ink slab. Paper collage is also challenging because you have to create using a scissor and glue and working in layers; all the different techniques require specific problem-solving and demand that you think differently. Along with drawing and painting these diverse mediums help develop our creativity and they are an important element of art making activities. They are also great fun when done in a group. In our studio in the Burren we are surrounded by a tremendously beautiful landscape, where the ever-changing light catches us unawares or the rain creates a rapid tapping melody on the windowpanes interrupting our work so that we can admire what goes on outside. It is magical and overwhelming, a simply splendid place. So while we work we are also inspired by the surroundings, sometimes consciously interpreting what we see and more often than not, letting our feelings do the work. 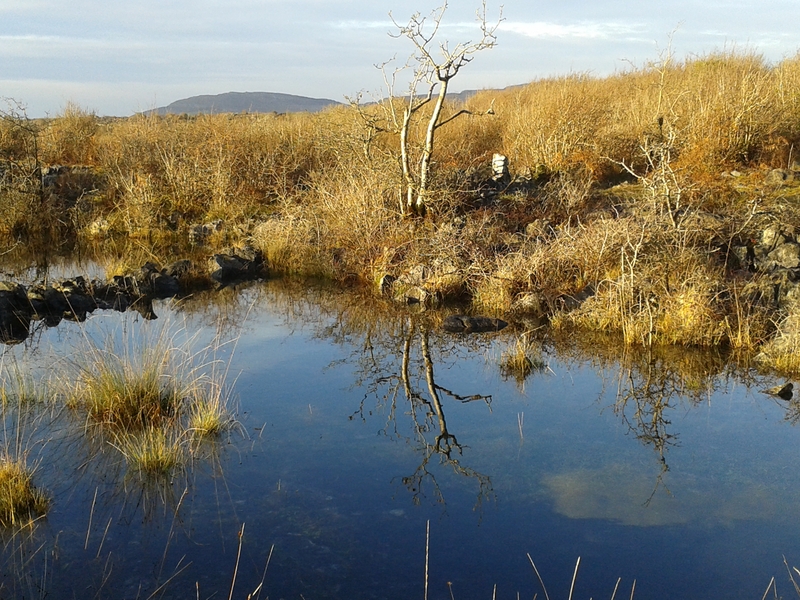 The next ‘Sunday Art in the Burren” is on 10th January 2016.